Gifts from our alumni and friends have an immediate impact on students and the Illinois Tech experience. Students describe in their own words what their scholarship means to them. 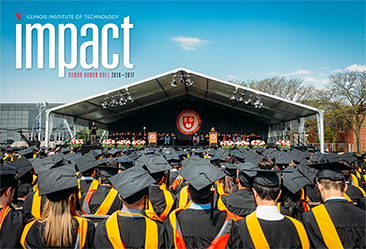 The 2017 issue of Impact magazine celebrates donors who have supported Illinois Tech students through scholarships.